Some say love is a feeling, but I maintain that love, in fact, is a way of being. An ancient text* tells us that love is patient and kind. That it does not envy, it does not boast, it is not proud. That love honors others and is not self-seeking or easily angered. That it keeps no record of wrong. This same text tells us that love does not delight in evil but rejoices in the truth. That it always protects, always trusts, always hopes, and always perseveres. It tells us that love never fails. Perhaps you’ve heard this ancient text read at a wedding? It was read at my wedding many years ago… and many others I’ve attended before and since. It is indeed a good recipe for a successful marriage. If you take a moment to really consider the definition of love above, you will see that it is filled with actions—being patient and kind, honoring others, delighting in truth and justice, protecting, trusting, hoping, persevering. I read these actions and think, while I’m certainly not perfect, I’m fairly decent at these things, or at least I try my best to be. These are high ideals—ideals I want to work towards. And yet, this definition is also filled with inaction—holding your tongue, your anger, your envy, and not keeping score or seeking on behalf of self. If I’m transparent with you, that’s a list I need a little more work on. I think of how often I state my opinion when I should hold silent instead. How my anger rises to the surface at a moment’s notice. How I keep account of others’ wrongdoings, but not my own. How I often seek for self, and myself alone. Yes, for certain this is the list that needs some attention in my life. See, love is an action-word, a verb. Love must be demonstrated; it must be acted out and acted upon. It must guide our actions and the things we say and do. Moreover, love is sometimes an action word requiring inaction, restraint, and self-control. It is a way of being in the world, a way of living life, every day, even (and especially) when it’s hard. When the tiny things grate on our nerves, love is patience and kindness. When we feel our opinion must be heard, love holds it’s tongue and stops self-seeking. When our spouse or friend makes the same mistake (you know, the one you told them really annoys you), love keeps no record of their wrong. And our love—does it always protect, always trust, always hope, and always persevere? 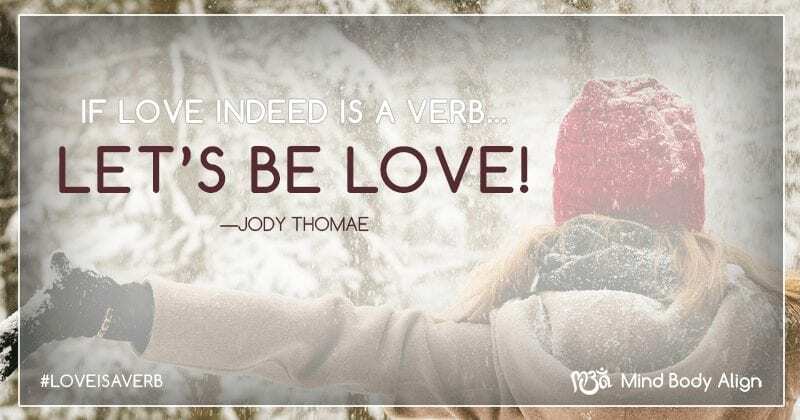 Those, my friends, are some VERBS—soul-attending, voice-stilling, heart-opening verbs! In this holiday season ahead perhaps our love could look or “act” differently? Perhaps you can join me on working on these ideals—not as a goal of perfection, but as a way of living out of grace and beauty and compassion? A way of being with others, especially those we espouse to love and serve? Won’t you let love guide your actions, as well as your inactions? Won’t you join me in living out love? Acting out of love? * This ancient text was written two-thousand years ago by the Apostle Paul and appears in the First Letter to the Corinthian Church in The Holy Bible. 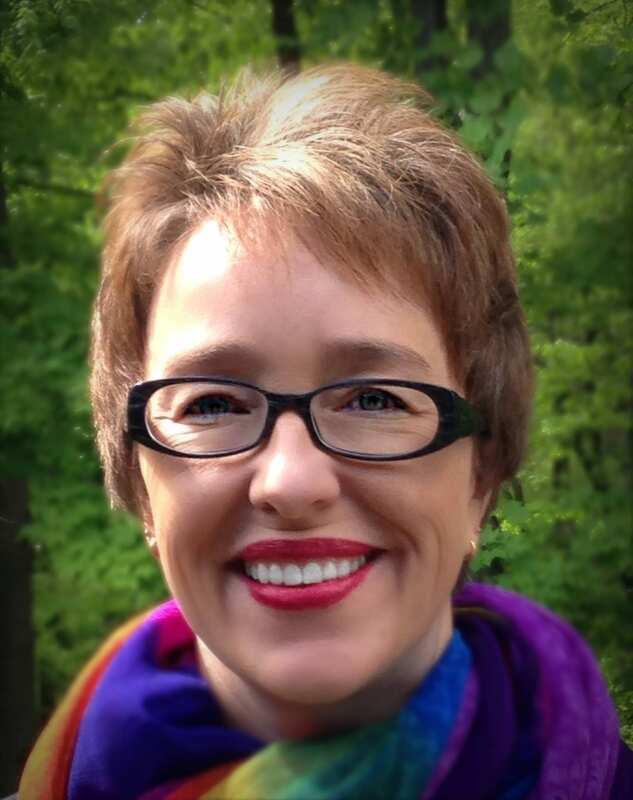 Jody Thomae is a creative, a writer, a singer, and a yoga teacher. She has taught yoga for over 15 years and works with a variety of populations, as well as those who have been affected by addiction and trauma. She is a YogaFaith Ambassador, a certified Silver Sneakers Yoga Instructor, a Trauma Sensitive YogaFaith teacher/trainer, and a member of the International Association of Yoga Therapists. She is also a worship leader, teacher of embodied prayer and movement, creative worship and spirituality, and the author of God’s Creative Gift—Unleashing the Artist in You and the forthcoming book, The Creator’s Healing Power—Restoring the Broken to Beautiful. Nourish: provide with the food or other substances necessary for growth, health, and good condition. July is the month of Nourishing at Mind Body Align. Nourish is one of my favorite words. You can nourish your body, your mind, your spirit, a child, a friend, a friend’s child, an animal, your environment, and even the community. And, I am going to challenge you to come up with some fun ways to do just that this month. First, grab a writing implement and piece of paper, I’ll wait. 1. How will you nourish yourself? 2. How will you nourish family and friends? 3. How will you nourish the environment? 4. How will you nourish community? I want you to be creative, detailed and have some fun! How can you support growth, health and good condition in each of those areas this month? I will share my answers with you so you can hold me accountable and I would love it if you shared some of yours! 1. Will nourish myself by eating a healthy breakfast at least 5 days a week, listening to music when I cook, and creating 30 minutes daily for outside meditation. NO MATTER WHAT HAPPENS! 2. I will nourish family and friends by actively listening, not only in person, but when on the telephone by turning off any distractions that may be present while on the call. 4. I will nourish my community by attending public events, exploring places I can volunteer, and purchasing goods from local establishments. See? That’s do-able isn’t it? Now it’s YOUR turn – please share your answers below. 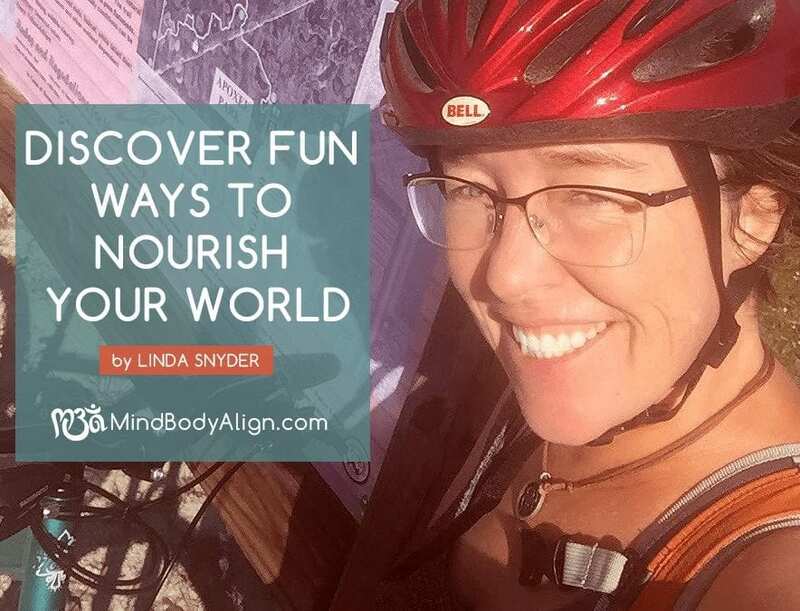 Linda Snyder is a Certified Integrative Health Coach and Yoga Teacher who just downsized, along with her husband and two cats, into a 38-foot Motorhome on the West Coast of Florida. Linda enjoys being outside, dancing in the grocery store, and traveling.